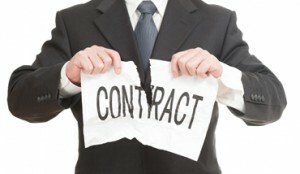 Timeshare Exit Team: Timeshare Cancellation And YOU! If you own a timeshare that you can’t afford or don’t want anymore, you need to contact our timeshare exit team. Whatever your reason for needing to get rid of a timeshare, we are on your side, and we are here for you. Read more to find out if we are the right solution for you and learn how you can contact us today. There are many reasons that you may need to know how to get rid of a timeshare. In fact, timeshares top the list of the most regretted purchases year, after year. If you find yourself in this situation, you are not alone. Being that 6.9% of Americans own a timeshare, you can rest assured that there are millions of other people out there looking for a way out of a timeshare. Before we delve into timeshare cancellation, it is important to understand why timeshares end up being such an unwanted purchase. When you buy a timeshare, you don’t do so in the way that you make most purchases. Even the most pragmatic consumers get swept away in a moment of vacation bliss. You envision what your life would be like with a timeshare and you say yes. It is only later that you realize what you were saying yes to was a vacation fantasy, not the reality of owning a timeshare. Many of the promises you were made during the presentation or simply not true. Your timeshare is not flexible. You can’t use your points to buy your way into luxurious resorts or more exotic vacations. You are lucky if you can use your points at all. High-interest rates on your timeshare mortgage combined with annual maintenance fees can make your timeshare too expensive and stretch your budget to the max. If you find yourself in this situation, you need to know how to get rid of a timeshare. Depending on your reasons for needing to get rid of a timeshare, you have a few different options. If you enjoy your timeshare, but it is simply too expensive each month, you might look into refinancing your timeshare. Just like a traditional mortgage, you can refinance your timeshare to get a lower interest rate. The lower the interest rate, the lower your payments. However, keep in mind that this does not absolve you from your timeshare payments. In some cases, our timeshare exit team has found that a refinanced timeshare can be more difficult to cancel. So basically, don’t try to refinance your timeshare unless you are absolutely sure that you want to keep in. If you don’t use your timeshare and you don’t want it anymore, a timeshare resale or refinance is not usually the best way to get rid of a timeshare. Our timeshare exit team cost is much more reasonable than either of these options and often makes more financial sense. Here at Timeshare Cancel Center, we specialize in timeshare cancellation. We do not do timeshare resales, and we don’t work for the resort industry, we work for you. Instead of trying to resell or refinance your timeshare, you need a timeshare cancellation, and our timeshare exit team can get you one. First, we start out with one of our complimentary timeshare exit team reviews of your timeshare contract. We are not a one-size fits all company. We tailor our approach to your unique situation and timeshare contract. We take over communication with the timeshare company so that you don’t have to spend hours on the phone anymore. We then craft a custom timeshare cancellation letter that is guaranteed to help you get out of your timeshare. While writing a letter might sound simple, a timeshare cancellation letter is anything but. A timeshare is a complicated, legally binding document and it is difficult to get rid of. If you try to cancel your timeshare on your own, it is possible that you could get it so mixed up that it is impossible for even our timeshare exit team to get rid of. Instead of trying to do it yourself, call us instead. We offer a money back guarantee, and we can get your out of your timeshare. If you need a timeshare cancellation, we are here to help.